Only a short distance from this bridge, over which I’ve passed numerous times through the years, lies the entrance to New Hope Cemetery. This is an old cemetery with a fascinating collection of aged headstones. This is a rustic cemetery and it holds the earthly remains of some of my nearest and dearest. 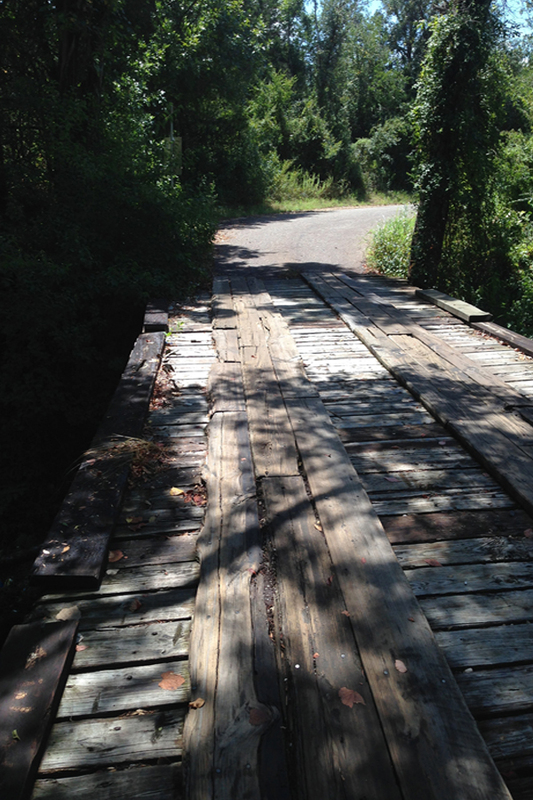 Too many times, we’ve followed a hearse over this bridge, taking a loved one to their final resting place. Several times, we’ve crossed the bridge to visit the graves of those we’ve not seen in so very long. The last time I was there–the day I took this picture–we were “visiting” Mother. You’d think this bridge would represent loss to me, would inspire pain, but it doesn’t. Why? The answer lies in the cemetery’s name–New Hope. Yes, we’ve laid our loved ones to rest here, but I know that in each and every case they were born again and destined for Heaven. For them, and those of us who expectantly wait to see them again, this place offers hope indeed–hope of that new life, true LIFE that will never end–eternal life in the very presence of God, surrounded by those we love so much…HOME. So this picture shows a path of hope, a man-made construct that bridges the past and that glorious future as we follow the road home.